Light with its infinite nuances from bright to dark, from quiet to buoyant, is the source of inspiration for this new and varied work. Ellen Augarten, Mary Ann Kelly and Jan Ruby Crystal, three Northampton artists who have a long association, have been meeting over the last year with a trajectory to create a mixed media show of photography, painting, wire forms, and pastel and graphite drawing. "Gathering Light” is the culmination of a year of keeping the idea of ‘light’ at the forefront of visual explorations. As a group, the artists produce art that is outwardly different. Some works incorporate soft modulations of color, others range from faithful representation, to repetition, to layered abstraction. Mary Ann Kelly's meditative metal vessel forms and her elegant, introspective paintings, Ellen Augarten's photography using double exposure and camera movement and Jan Ruby Crystal's detailed and complex drawn imagery that reflects and absorbs the impact of light are in conversation about LIGHT --- light upon landscape, translucent light, golden light, shadows and the absence of light. Mary Ann Kelly has expanded upon the concept of stillness and being by exploring the qualities of layered paint and light on paper, then mounted on wood. Mary Ann continues to assemble linear three-dimensional “drawings” using wire and copper into vessel forms. 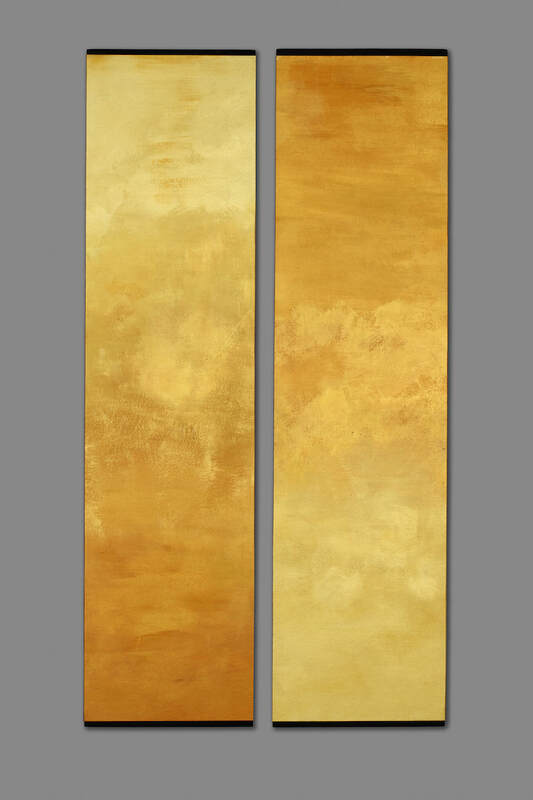 Both her two and three dimensional, simple yet elegant abstractions exude a contemplative feeling, unifying much of the work with a membrane of gold. Jan Ruby Crystal finds inspiration in nature with its changing weather and light. 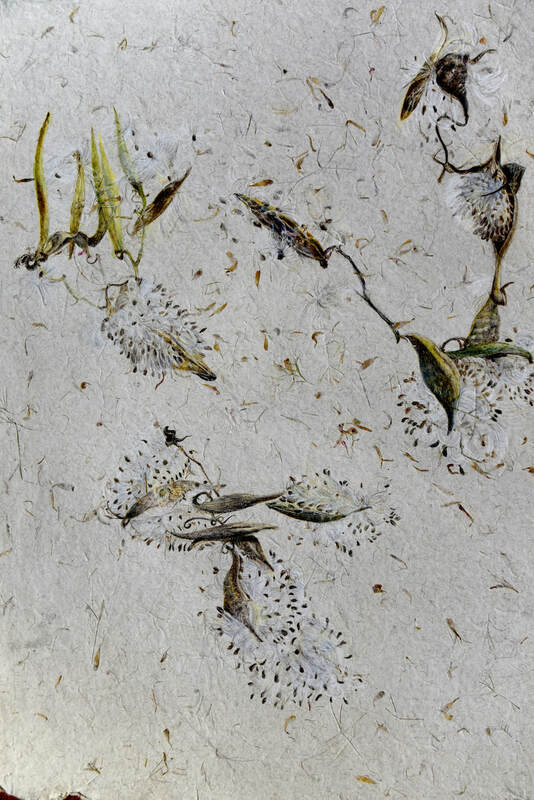 She documents her experiences by using sand, natural findings, plaster, oil sticks, pastels, acrylic, watercolor, graphite and personal writings to create a varied portfolio of art work. Jan continually challenges herself with new materials and techniques as she searches for ways to deepen and enrich her vision. Ellen Augarten has been creating new work involving intentional camera movement with the ‘focus’ on elongating strong shadows, trees, fences and the light itself. 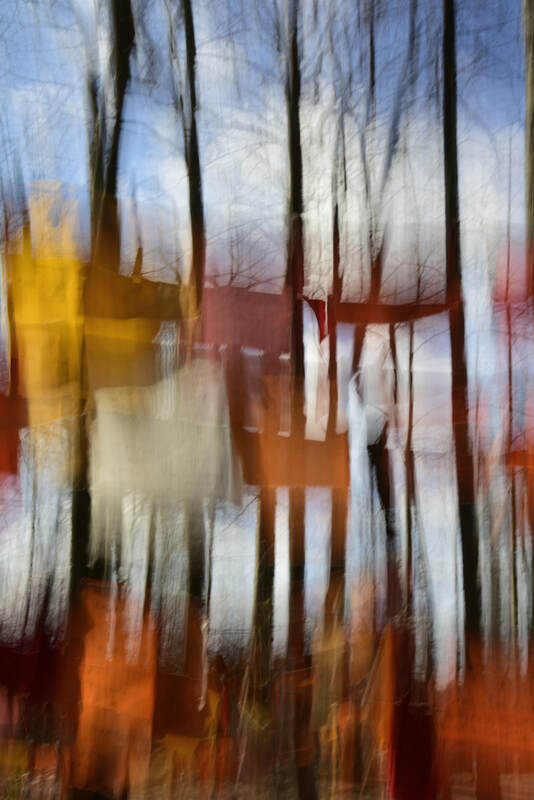 This changes a traditional photographic image into a painterly one. Her photographs are made in-camera and are full-frame. Ellen is currently an Artist in Residence at Mesa Verde National Park.